What Makes This Toy So Green? 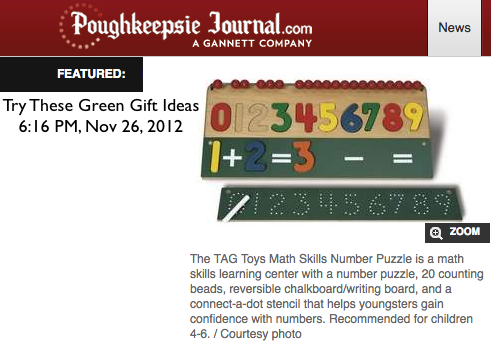 In addition to the nice shade of chalkboard green (see product above) applied to this product, the entire TAG Toys collection of educational toys are environmentally friendly in many ways. Our raw materials are sourced from local suppliers whenever possible (including wood and paint) and our paints are all non-toxic, water based finishes. Every product is proudly hand-crafted by local workers in the USA (Compton California). Our Math Skills Number Puzzle is one of our most popular math skills activity sets. 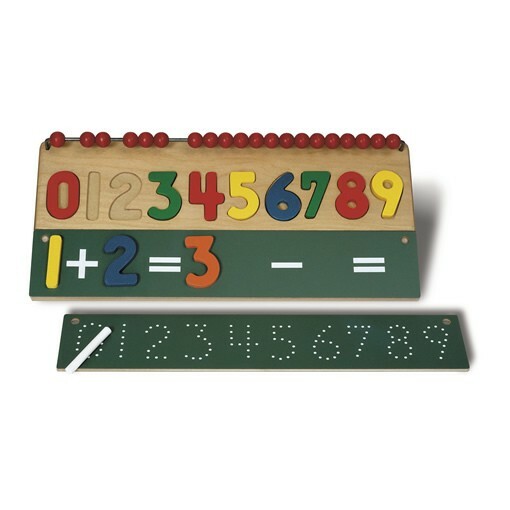 This educational toy helps girls and boys practice basic math skills like addition and subtraction. Very young children gain familiarity with numbers and learn how to count in sequence. The Math Skills Activity Set is available at TAGToys.com, through high-quality toy catalogs and in boutique toy stores nationwide. This entry was posted in Childhood, Childhood Development, Children, Education, Kids, Pre School Kids, Toddlers, Toys, Uncategorized and tagged christmas, eco friendly, environmentally friendly, gift guide, green gifts, holiday, math skills.